The Old Time Music Ozark Heritage Festival in West Plains, Missouri celebrates old-time music and the distinctive culture of the Ozark Highlands. 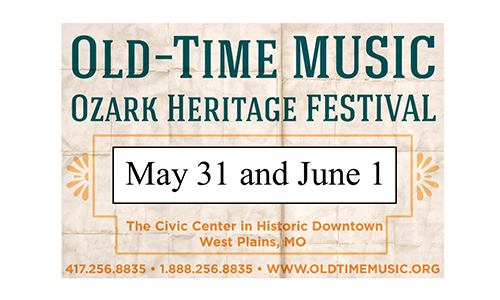 Different from its rural counterparts, bluegrass and country, old time music has its distinctive sound and makes its own important contribution to the complex palette of what we call indigenous American music. This will be our 25th celebration, and we plan one each year, up to and beyond the Bicentennial Commemoration.